If you'd like to get in touch, then I'd love to hear from you. I always welcome feedback on my books, both good and bad, so long as any criticism is constructive. Sign up to be the first to receive news about upcoming books, important news, and more. I can't stand spam emails, so rest assured that I won't fill your inbox with useless rubbish, and I'll only email you when I have something important to say. I'll also never sell or pass your details on to any third party. I like the concept of this book, but I think it failed to live up to its own promise. There’s no denying that Jordan Peterson has an incredible mind. This book is filled with an overload of proof of his mental ability, and there’s plenty that is really useful. It could be said that there might even be too much information. In fact, that is where my problem lies with this book. 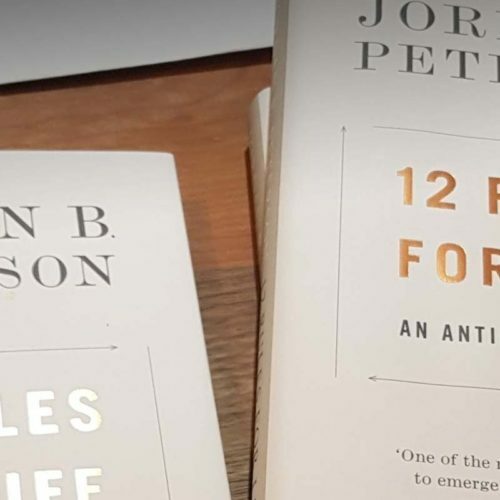 Here, Jordan Peterson promises 12 Rules for Life, and delivers on that promise with his chapter titles. Unfortunately, the content of those chapters is only tangentially connected with those titles.